They've got our backs! 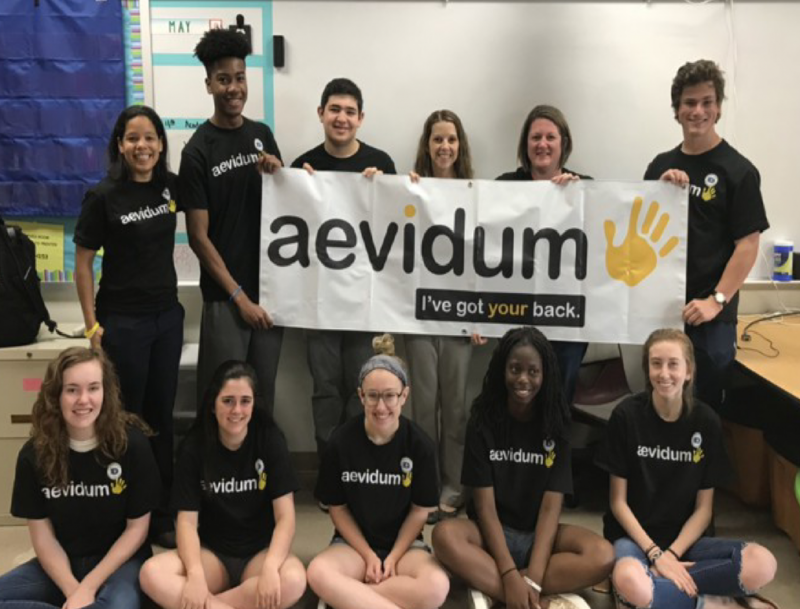 Aevidum students and advisers proudly display the club's logo and slogan at a May 2018 meeting. In 2017, Downingtown West High School adapted the organization called Aevidum from a school in Lancaster that created the program after a student took his life. Junior Hannah Craig mentioned the idea of starting the club at Downingtown West to Mrs. Shipe, and, before long, DHSW had a chapter of its own. Aevidum’s purpose is to shatter the silence that surrounds depression, suicide, and other issues faced by youth and high school students. Raising awareness of healthy activities and coping strategies is a key element of the program, as is the goal to support students who may be suffering as a result of mental health issues. Dr. Simmons, Learning Support teacher and Aevidum adviser, hopes that “all students will feel they are a part of a community at Downingtown West and that each student will feel valued and important.” The club truly wants to have the back of each West student. If you are interested in joining Aevidum, meetings are in the library on the third Thursday of each month. Everyone is welcome.